WHEELING — West Virginia Board of Education member Dr. James Wilson urged educators Thursday night to consider compromise as state lawmakers debate the issue of charter schools and other matters contained in an education bill before them. Wilson, of Glen Dale, and fellow state board member Robert Dunlevy of Wheeling were among those present as West Virginia Assistant School Superintendent Michele Blatt provided an update on the controversial Senate Bill 451 in the J.B. Chambers Performing Arts Center at Wheeling Park High School. Her discussion lasted about 90 minutes. 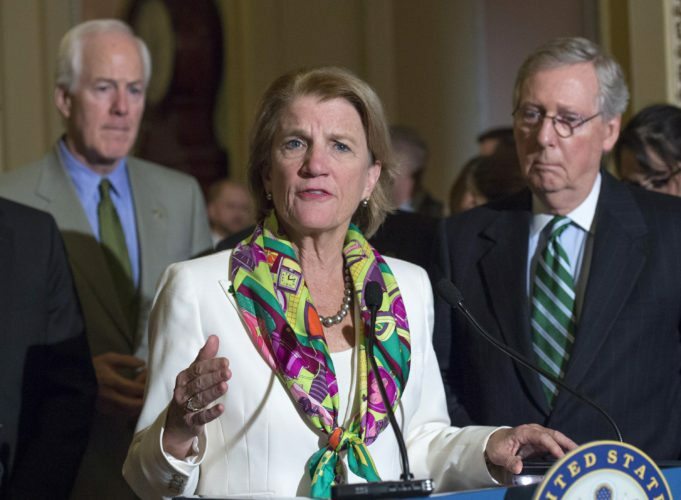 Wilson pointed out while the bill provides for the establishment of six charter schools in West Virginia opposed by school officials, it also does many things he believes educators would support. It gives teachers and service personnel a 5 percent raise, and provides incentives to hire more math teachers in the state. As presently written, it also would financially benefit many smaller school districts in the state by setting a base level of state funding they would receive. 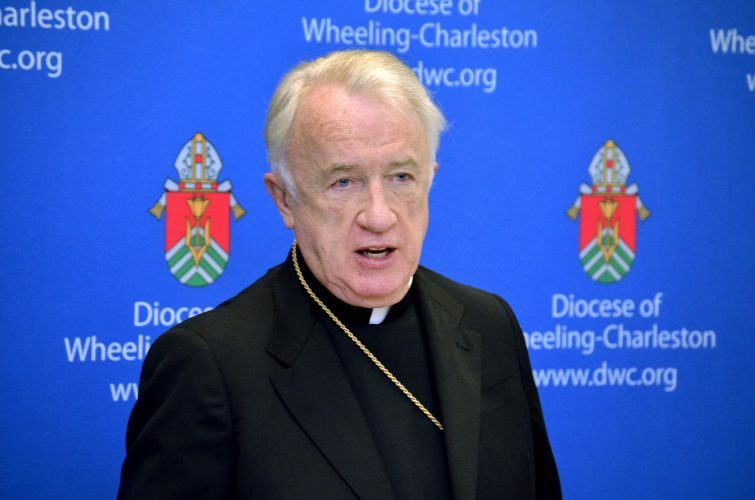 Wilson rose and asked those opposing the establishment of six charter schools in West Virginia if they might be willing to accept three charter schools. Dunlevy restrained his comment, saying he would like more time to see how the bill will evolve. ∫ Educator pay raises — Both teachers and school service personnel would receive a 5 percent raise under the legislation. In addition, educators teaching math classes more than 60 percent of the time would have three years of experience to their salary schedule, giving them an additional raise of about $1,761 annually. Math teachers at the high school and middle school level also would be eligible for a one-time, $2,000 supplement if they complete a specialized math course created by the West Virginia Department of Education. 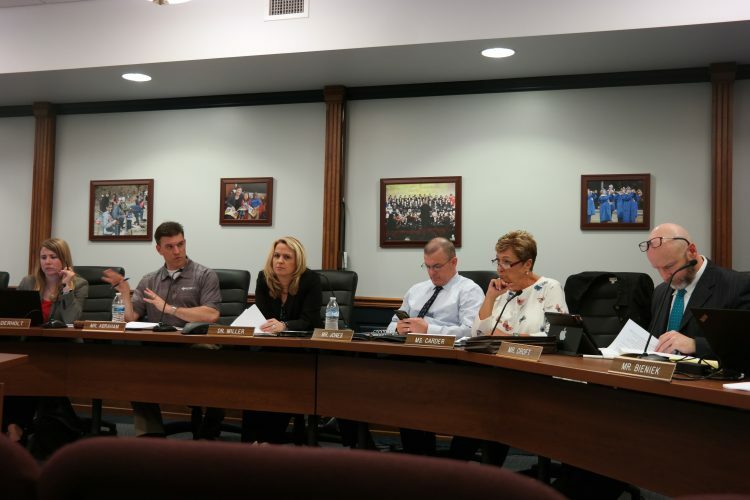 Also under the bill, central office employees would no longer be considered “contract employees,” but “at will” employees who can be removed by the superintendent with approval by the board of education. ∫ Charter schools — SB 451 provides for the establishment of up to six charter schools in the state after July 1, 2020. 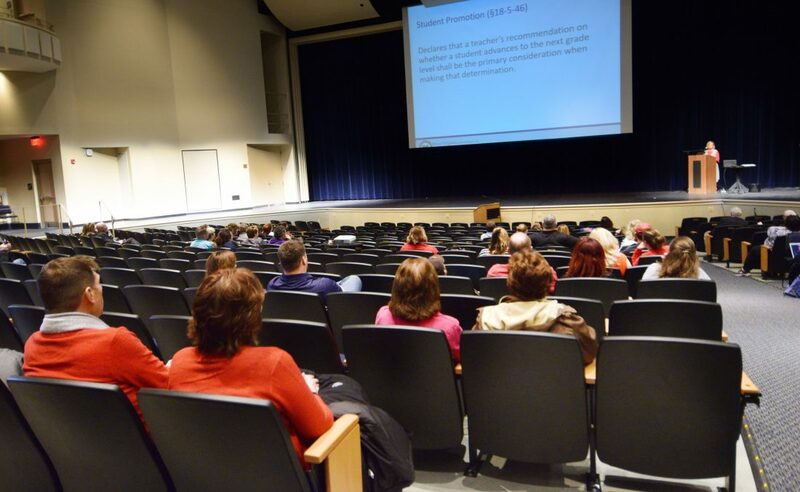 These schools are described in the bill as being part of the public school system, but exempt from all statutes and regulations applicable to public schools. Only tax-exempt, not-for-profit entities could apply to be a charter school. Entities given authority to authorize the formation of a charter school would be county school districts, a partnership of county school districts, or members of a West Virginia Public Charter School Commission that would be created. The commission would consist of seven members, including the state superintendent of schools, chancellor of the state Higher Education Policy Commission, the chancellor of the State Communities and Technical Colleges System, and four gubernatorial appointees. Current public schools could not be converted to charter schools. Educators present Thursday expressed concern the charter schools would not hire certified teachers, or be held to any accountability standards. They also questioned if the school would fold and they students return to traditional public school during a school year, if these schools would receive funding to account for the increase in class size. ∫ The use of sick days and personal days by employees — School employees currently have a combined 15 days they can use for sick time or personal leave, and the legislation would give employees a $500 bonus if at the end of the school year they had banked at least four of these days. Employees with Ohio County Schools currently receive a $1,350 bonus if they do not use all 15 days. In the event of a work stoppage, the employees would be prohibited from using their banked time. The county board of education would be required to withhold pay for each day closed due to a work stoppage. Also, athletic events would be canceled on days school is canceled due to a work stoppage. Blatt was asked who was at the table when the education bill was crafted.